If you’ve been following along on Instagram, you already know that last week we were oohing + aahing over dreamy dresses in Barcelona at Barcelona Bridal Fashion Week. 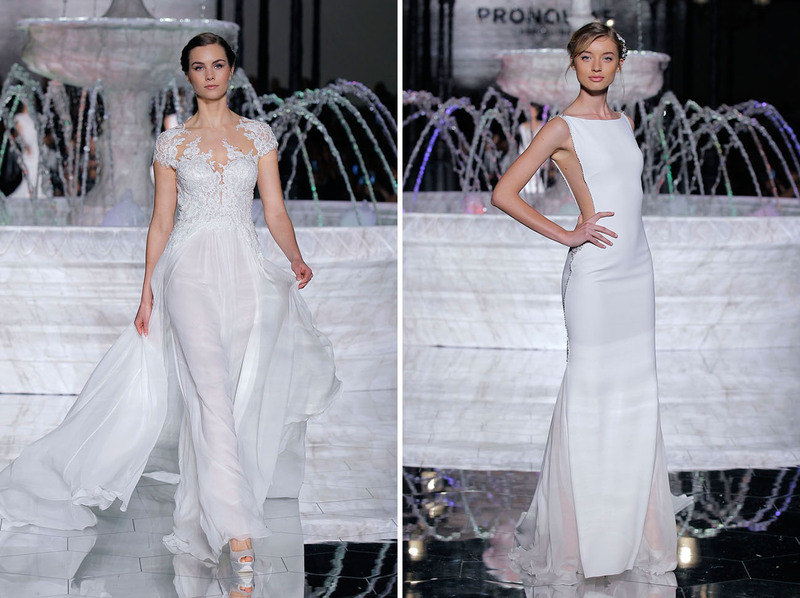 A week full of dazzling shows led up to THE FINALE SHOW of them all: Pronovias! 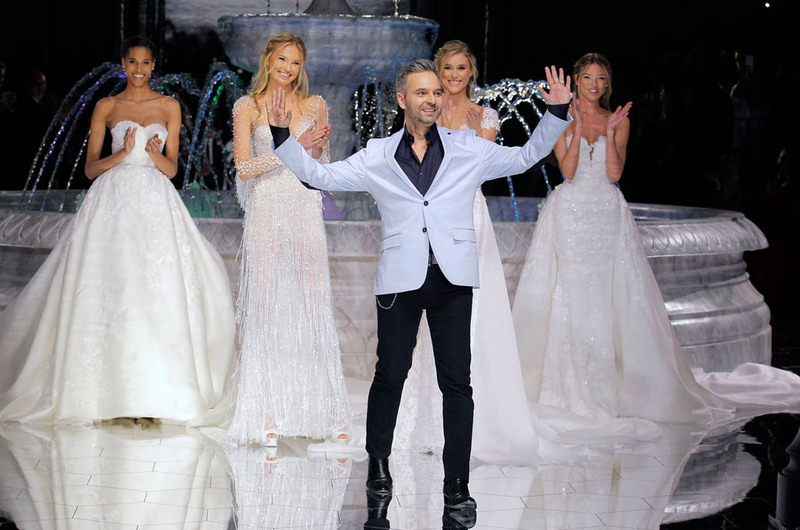 We kept hearing buzz of how excited everyone was for the Friday evening finale show, as it’s always packed with surprises, top models, and of course, jaw-dropping gowns. Well, all the hype was definitely worth it and certainly didn’t disappoint. The catwalk was led by international top models — Romee Strijd, Cindy Bruna, Bregje Heinen and Martha Hunt. As each dress floated by, you could hear the gasps followed almost immediately by applause and murmurs of, “I love that,” and “so beautiful…” Ready to see why? Let’s take a look back at the highlights from the night! HOLY SMOKES, right?! 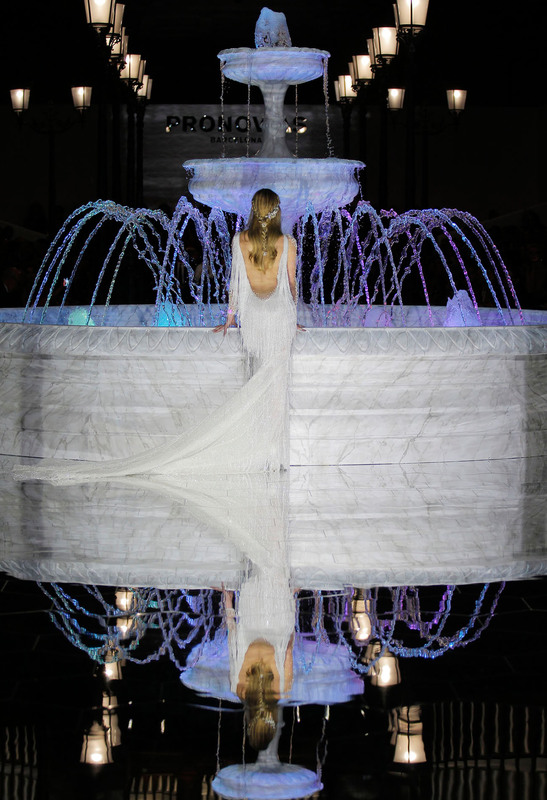 The fountain backdrop metaphorically referenced the magical movement of water, its fluidity and shine, which is apparent in all the designs of this new collection… And we kinda sorta LOVED it. Romee Strijd absolutely dazzled in this sheer beaded dress, finished by fine feathers — don’t you think? Capes, FTW! 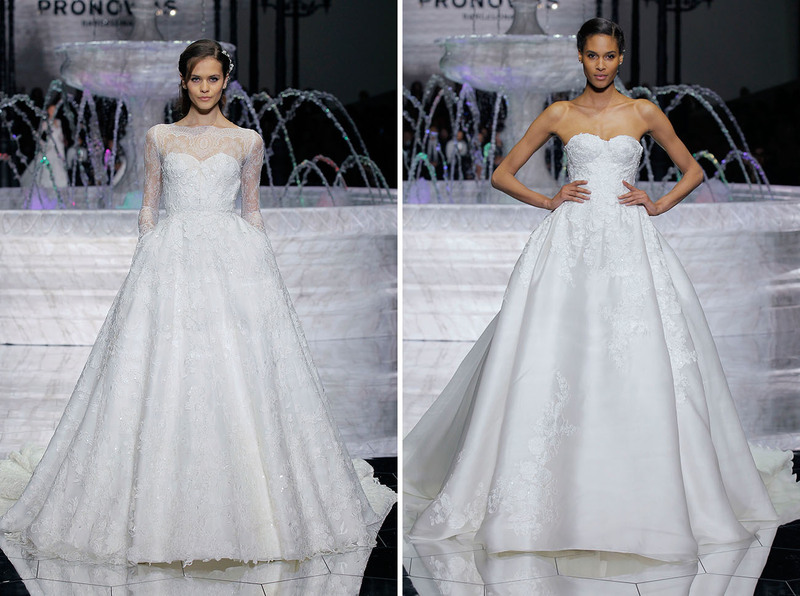 We saw so many capes added to the bridal couture gowns this year, and we’re definitely on board. The hair and makeup was romantic and natural. Thread embroidery, the star of this year’s Pronovias collection, is a testament to their atelier’s commitment to a thoughtful combination of materials and fabrics. 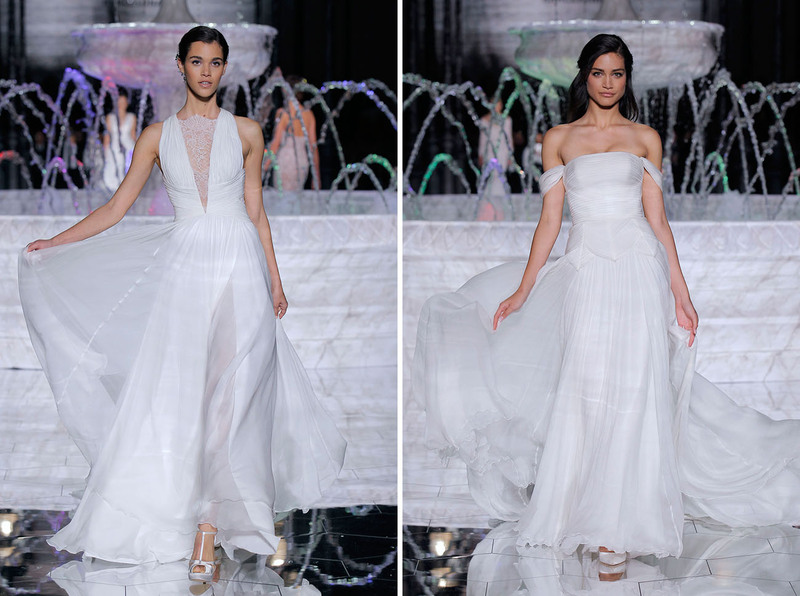 Silk gauze, organza and Mikado add volume, while crepe and soft satin outline the bride’s figure… How beautiful are these silhouettes?! Have you ever seen a more incredible beaded back design?! The latest looks are a fresh take on volume; the innovative designs lighten up patterns and reinvent silhouettes to bring more movement and fluidity to the skirts and trains. Essentially these are dresses that you can dance all night long in and still feel comfortable — YES!! Fringe was a major player at Barcelona Bridal Fashion Week this year, and we ADORE how they added beading to this one for an added touch of luxe + sparkle. 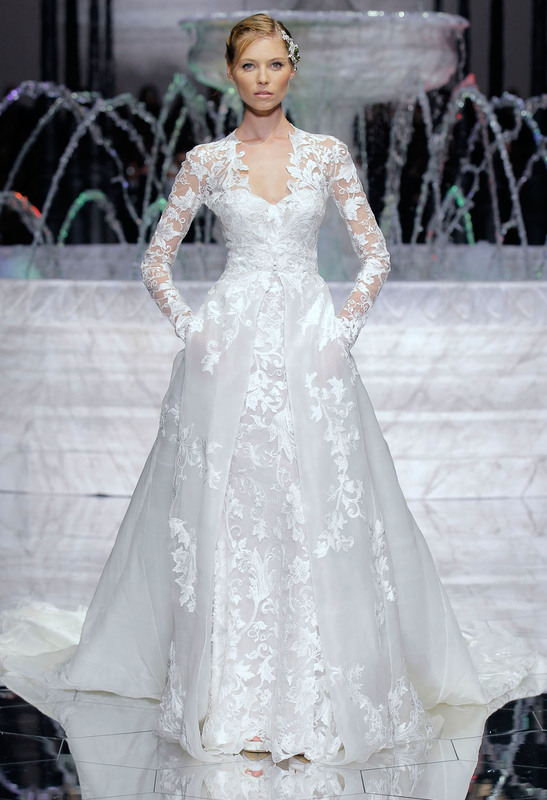 Serious wedding dress goals, right?! Which of the designs are you eyeing the most? 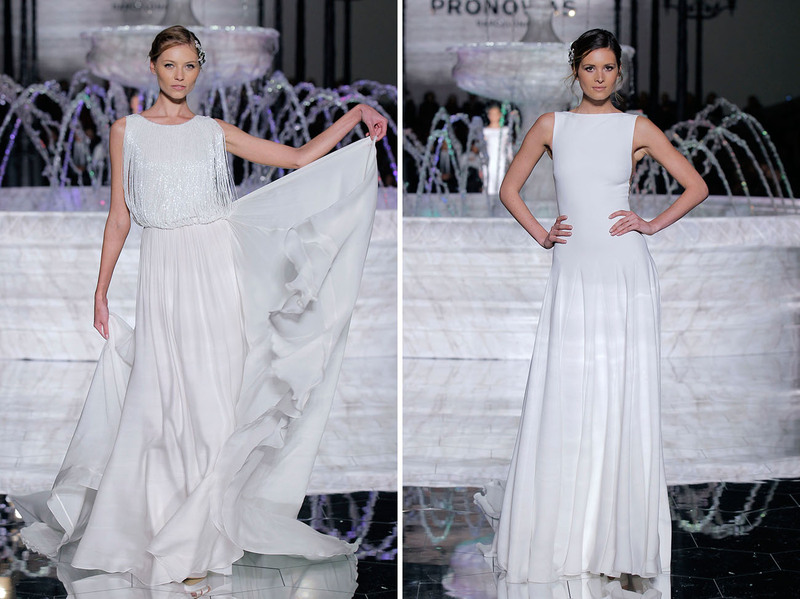 Let us know in the comments below or join the conversation with #PronoviasFashionShow on Instagram! 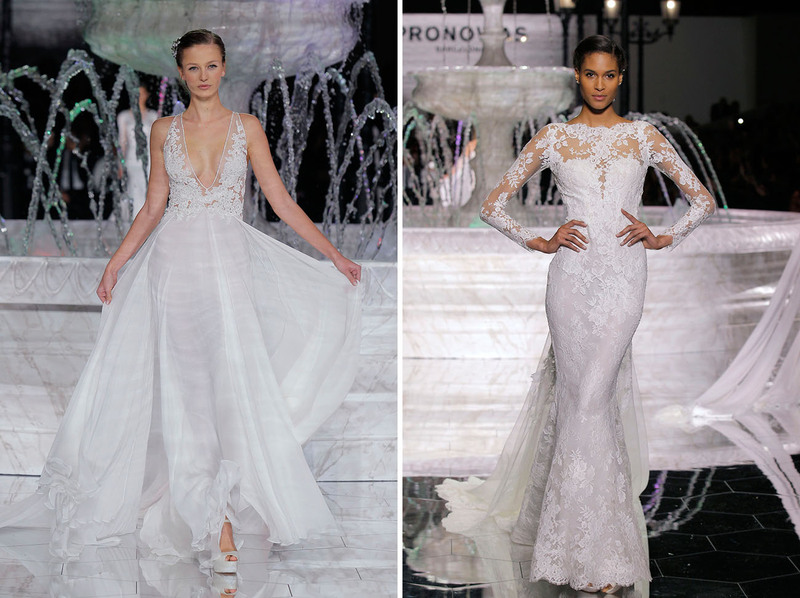 *This post is sponsored by Pronovias. Thanks for supporting our sponsors! 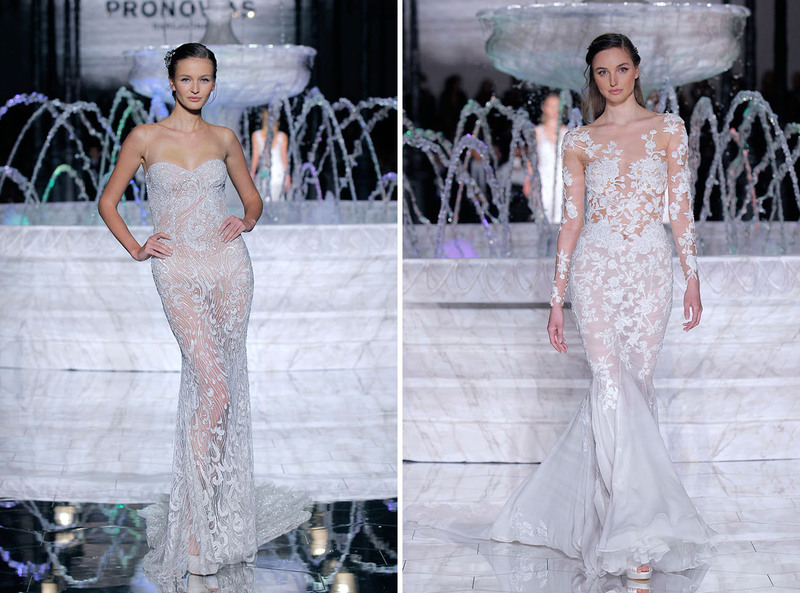 Watch the Pronovias 2017 Fashion Show Live! Many beautiful dresses here, but relatively few of them are what you’d want to show your children twenty years from now.